There was a time when women was not supposed to toehold in the business purpose, but now the mindset has been changed and most of the women have come up with great ideas and business that today they are most successful businesswomen throughout the world. Now various government and non-government organizations give hand to the growing business and support the woman who faces lack of money problem. Now in most of the corporate offices in UK 30% of the staff is female participation at medium and top levels, which was earlier not at all just a decade ago. At the same time, employment in the UK is more prominent than other nations of the world and even within the Europe. Here we shall look out at some mental liabilities that take the steps of women back from starting a business. These are answers to the questions which the women especially want to know before entering into the foray of business world. Do Women still Struggle to be taken seriously in the Business. A big deterrent that the women entrepreneur pursuits that business is totally main domain but it is not like that. Initially managerial posts were grabbed by the men. But today women’s are also capable of being at that post because today psychology has been changed, from the younger days women’s are trained to stand equally with men which makes them more talented as men which is a nice impression to conduct a business. Traditionally men’s have made the rules and policy decisions regarding conduct of the business, this also conquer the women not to enter business. This is not a specific thing for a women –it affects the men as well. The only thing because the number of women are low in the business premises this is much apprehension which shrouds them. And that gives birth to fear of failure. Today there are various options by which women can enter into the business such as funding, management tutorials and so on, but these still are of no avail because most of the women think or had a harbor feeling that they will not be able to work in the domain of entrepreneurialism. These mentalities certainly don’t work. Here is one of the famous entrepreneur stories of the woman in UK. These may not be the most successful or the richest, but they are chosen on the basis of inspiring stories behind them. It is vastly motivational to see how these women surmounted all odds and went ahead to become the most famous entrepreneur in the UK. LK Bennett is the popular women fashion store currently in UK. But this was just started by initiative of one woman- Linda Kristin Bennett. This woman first went to training in the Harshneys Corwainders College and then later on went for the practice of her trade. Initially she was given license to sell the women’s shoes later on she added bags and clothes to her arsenal. Slowly but surely, her business went to Ireland and France, her retail stores and boutiques started increasing across the land. Currently it has 109 stores in different locations of Europe and has become the trusted brand of women in the field of accessories. Recently the business was sold to the Phoenix equity partners for a sum of £70 million. The valuation of this business was just the brainchild of one women entrepreneur which was at £100 million. Before being sold, the company was having £65 million per year business. After being sold also LK Bennett has 30% of stake in it. Just with the respect currently she is one of the famous and the finest entrepreneur in UK. She was awarded with “Earnest and Young Entrepreneur award” in the year 2002. Recently she was awarded Entrepreneurs Award for the Entrepreneur of the year in 2009. 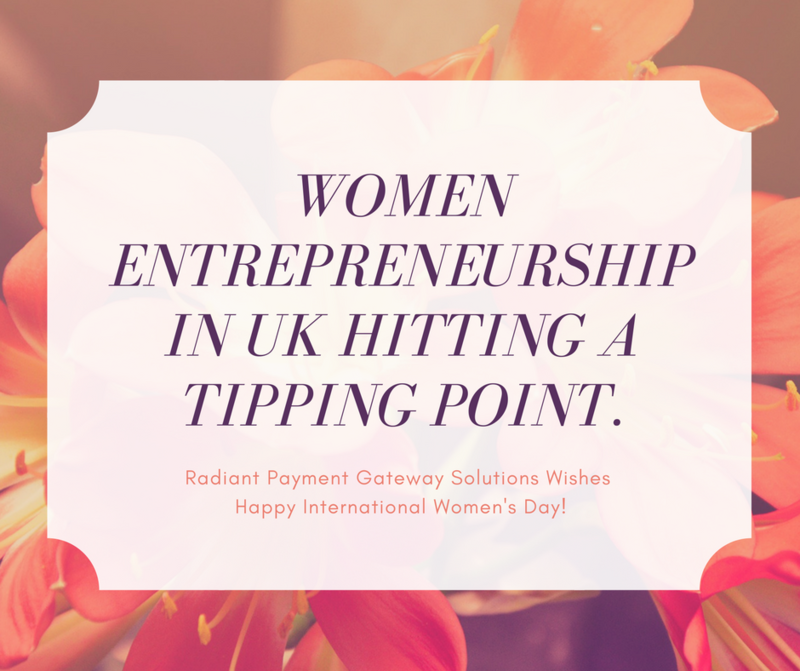 Radiantpay wishes happy International Women’s Day!